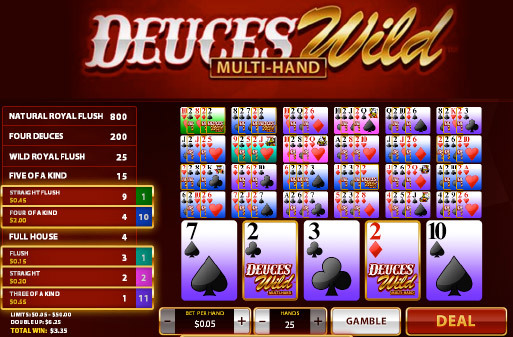 If you love Video Poker, then you’ll love the extra action of our brand new Multi-Hand Deuces Wild game at Fly Casino! It’s the classic game that allows you to play up to 25 hands at a time. Our new game has an amazing sleek look and feel that will make your gaming at Fly Casino a seamless one! Royal it up this weekend! Triple Sunday! On Sunday from 00:00GMT until 23:59 GMT, all members on their first deposit of just $/£/€30 or more will receive a $/£/€40 bonus. Claim it 3X! 100.00 Slots Bonus! From 00:00GMT until 23:59 GMT, all members on their deposit of $/£/€30 or more will receive a 100% bonus up to $100.00. $144.00 BIG TUESDAY! From 00:00GMT until 23:59 GMT, all members on their deposit of $/£/€30 or more will receive a 77% bonus up to $144.00 bonus.